The Judy’s Book Difference: Easily see the most favorable and critical reviews. A contractor that recently did some work for us offered to pay for dinner and membership to a review site I won’t mention in return for a good review. Although I turned him down, it got me thinking. Contrary to what one of our competitors believes you don’t need to charge members to get trusted reviews from real people. Judy’s Book deploys several tools our members can use free to quickly filter through reviews on a place to get an accurate picture, I’ve mentioned some in previous posts and we continue to roll out new features. 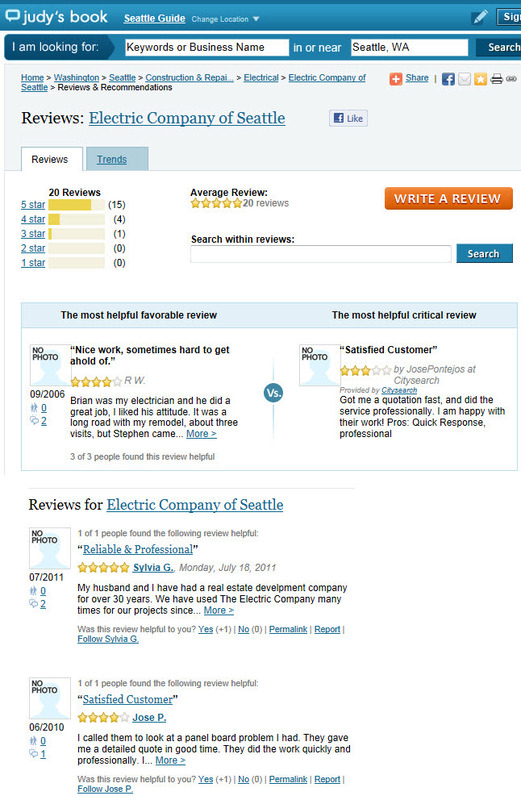 One of our most popular is the ability to quickly see the most favorable against the most critical review. This prevents users from gaming the system by getting others to submit a bunch of good (or critical) reviews to hide their bad review farther down in the list or page results. This entry was posted in Judysbook on September 7, 2011 by judysbookblog.